Beginning with a tale of early modern industrial espionage, newcomer Melchior-Bonnet considers the mirror’s significance in moral, religious, and philosophical discourse throughout history. In the 17th century, Venetian craftsmen were smuggled into France to staff the Royal Glass Company in an attempt to undermine the Italian monopoly. The Venetian government retaliated with kidnappings, forged letters, and other subterfuges to protect what they regarded as a state secret: the techniques of mirror manufacture. Out of the ensuing battle for a growing market emerged technological developments that transformed the mirror from a rare and costly object into a staple artifact of modern experience. From antiquity onward, mirrors stood for what is most wonderful and problematic about sight, both defining and extending the limits of vision. 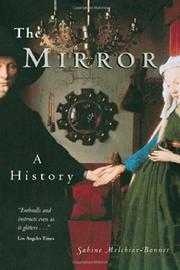 During the Middle Ages the mirror’s religious impact was twofold: in the humanist tradition, it served as a reminder of how the human body reflected the divine image; but another vein of Christian morality viewed the mirror as a tool of Satan, a snare especially for women, whose sexuality it made monstrous and threatening. The mirror’s social function as an instrument of self-knowledge similarly engendered a dual aspect: it was a dispassionate observer, judging the gazer's looks and demeanor on behalf of the public eye; and also a secret partner and accomplice, conspiring to blot out consideration of anything but the self. To the mirrors of truth and vanity are added the distorting mirror of madness, which alters what it reflects to reveal fresh truths or terrors, and the permeable mirror of dreams, which presents an alternative and contingent reality. Bonnet-Melchior discusses all these ideas in terms of representative literary, philosophical, and pictorial texts spanning the centuries. These readings are uneven: the author clearly knows more about literature and philosophy than she does about art, but the scope of her ideas and her evident ease with the broad range of materials compensate for occasional interpretive weaknesses. Alas, they must also overcome the translator's inappropriate colloquialisms and botched allusions. A stylish, erudite meditation worthy of its provocative subject.